I have recently been craving the caramel popcorn my Mom makes at Christmas. 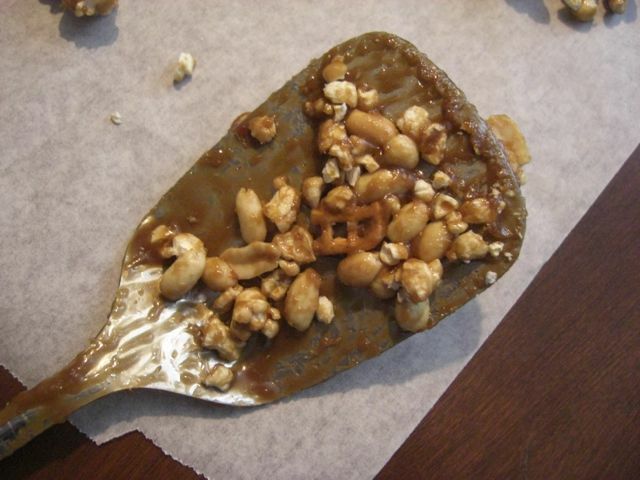 I made it myself this past Christmas, and realized it is an easy and fun treat to make. 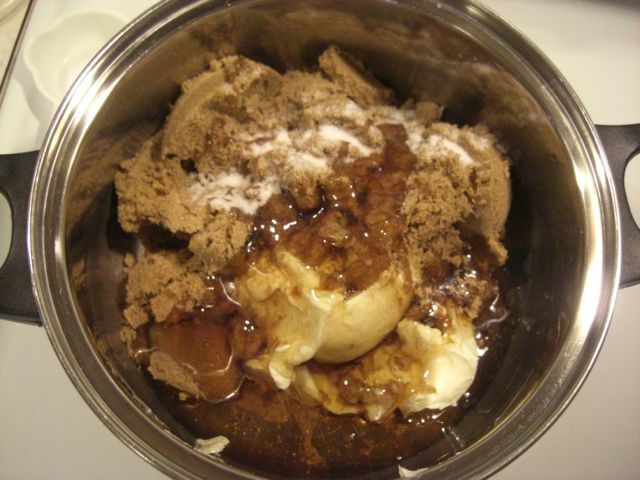 The original recipe is from Farm Journal's Country Cookbook, with some slight additions. 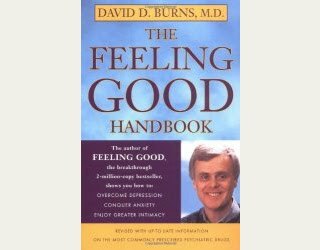 I thought you might enjoy the recipe too! Caramel Popcorn: A recipe in photos! You need 5 quarts (20 cups) of popped popcorn. I probably used about one cup of un-popped kernels to achieve this. 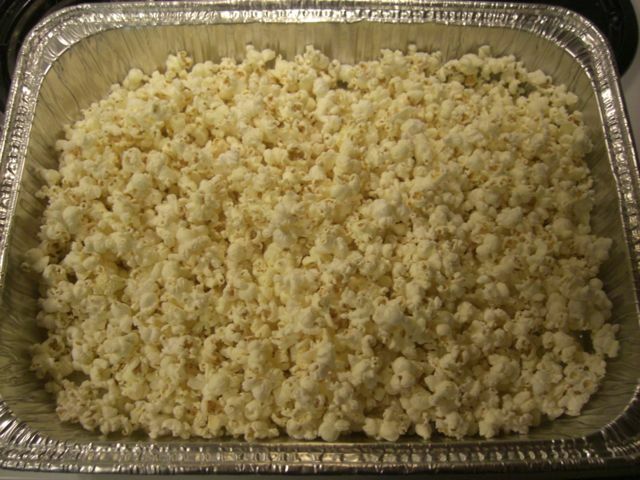 5 Quarts of popped popcorn is 5 of these! 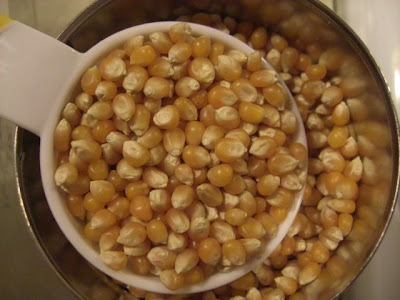 As you are popping the popcorn, sift through it to make sure only the best pieces go into your caramel popcorn. Pick out any kernels or loose shells and discard. 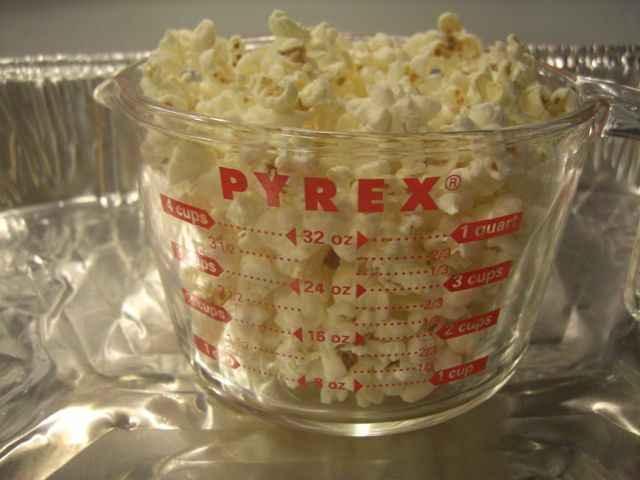 Place your 20 cups of popcorn into a large oven safe pan. Heat the popcorn in a 250°F oven to keep it nice and crisp while you prepare the caramel. 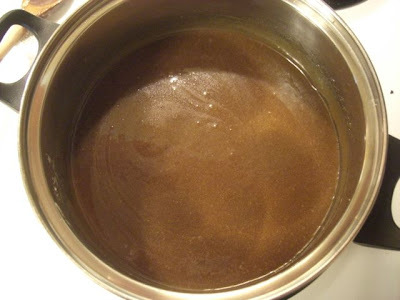 Caramel: Add 1 cup butter or margarine, 2 cups firmly packed brown sugar, 1/2 cup of corn syrup, and 1 tsp of salt to a medium sized saucepan. Place over medium heat and stir, mixing together. Once mixed, stir periodically and bring to a boil. Once boiling, set timer for 5 minutes and just let 'er boil. No stirring! 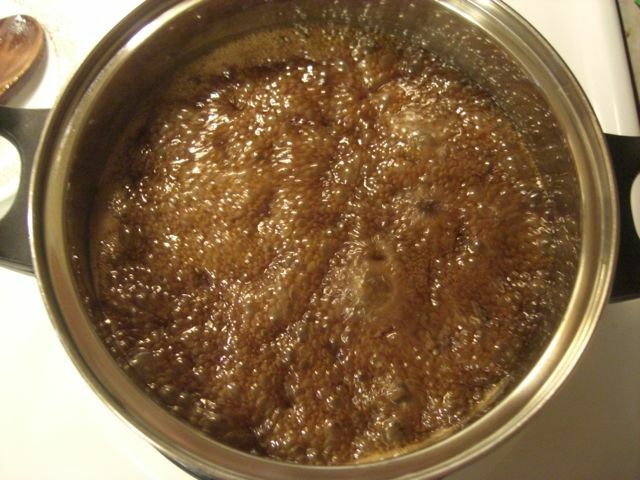 This is what it looks like REALLY boiling (taken around the 3 minute mark). 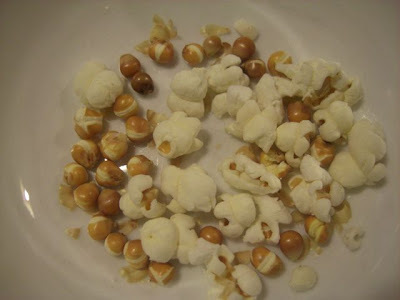 At this same point, take your popcorn out of your hot oven and add 1 cup of salted peanuts and 1 cup of broken pretzels. 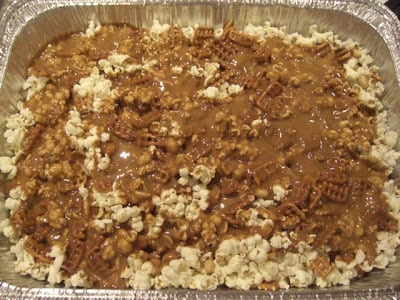 I use waffle pretzels and just love how the squares and broken bits fill with caramel. 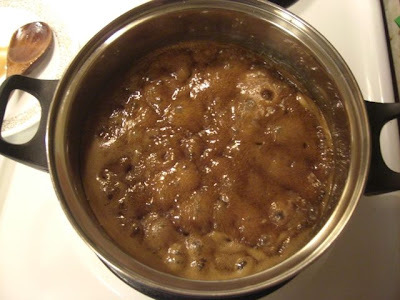 When your 5 minute buzzer sounds, remove caramel from heat and add 1/2 tsp of baking soda, stirring in well. 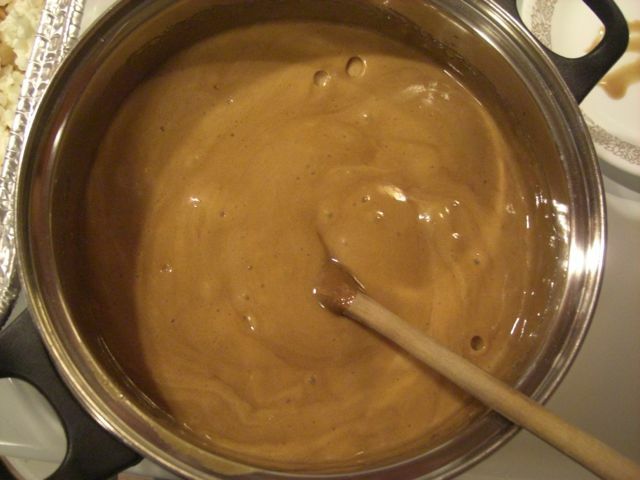 The caramel will foam and get thick. Pour caramel over popcorn/peanuts/pretzel mixture. Using an egg lifter, stir the popcorn mixture to coat everything with yummy caramel. Return the pan to the 250°F oven and heat for 15 minutes. 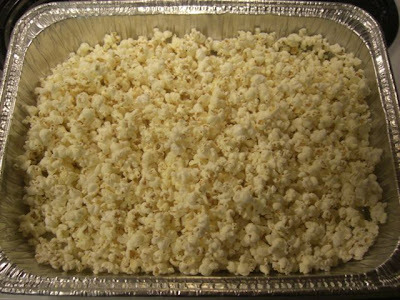 Remove the pan and stir the popcorn mixture again to ensure everything gets a good coating. 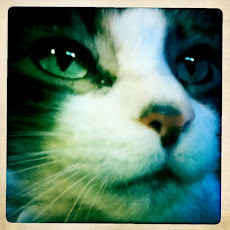 Return the mixuture to the oven for an additional 15 minutes, then give it a final stir. Everything should be beautifully coated in caramel. 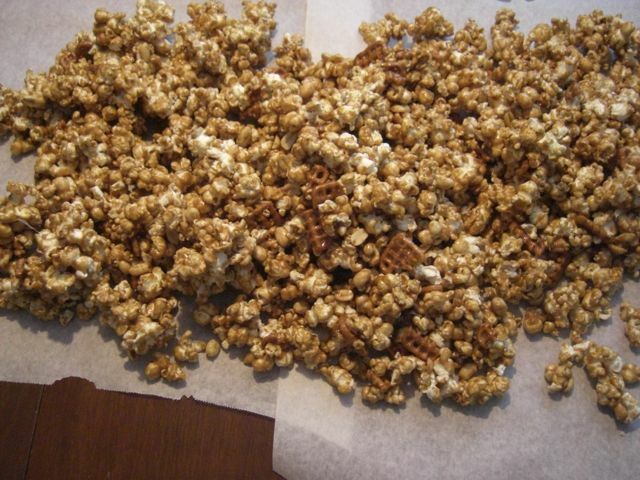 Pour caramel popcorn onto waxed or parchment paper to cool. Here is a photo of the most amazing part of this process. The handy egg lifter, when all it's jobs are complete, gets to be licked clean by the candy maker. Super tasty bonus! The recipe makes 2 large Ziploc bags (about 20 cups!) of caramel popcorn. 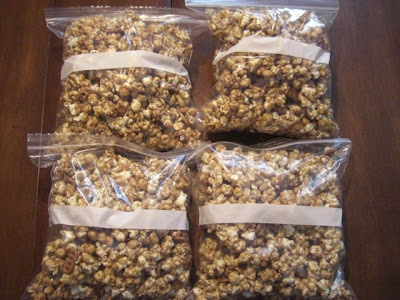 I made two separate batches and now have 4 bags of this glorious treat! Total cost was proabably less than $7 for these four bags, and I still have a lot of unpopped popcorn left. Economical, easy, and delish! 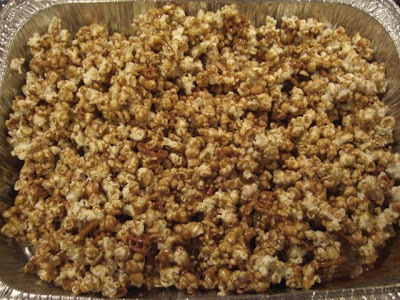 Okay, now I'm hungry and all I want is carmel popcorn! !